EWA WordPress theme is the perfect multi-purpose theme for your website that you should not miss. EWA is powerful, potential and simply perfect for your website, projects, or for your clients’ websites. 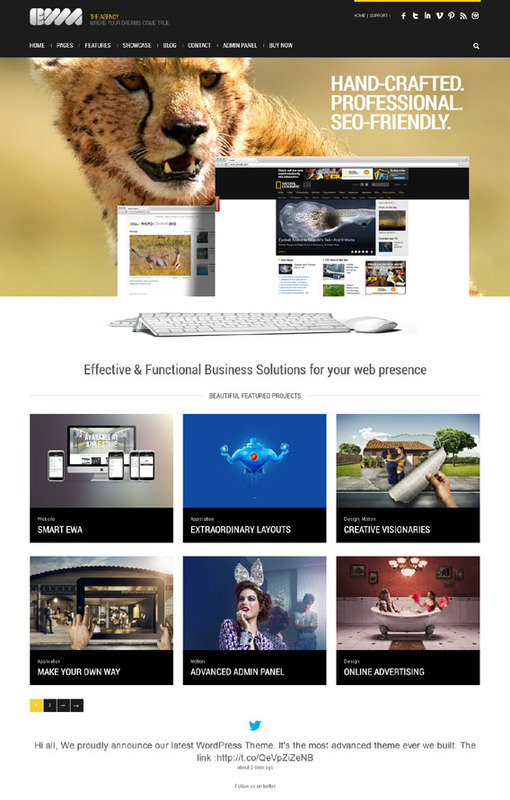 There is no limit for the use of EWA wordpress theme. It is not just a great theme. 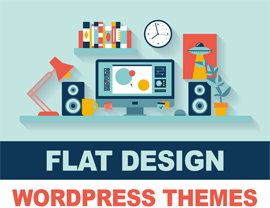 It is a fabulous, glamorous, beautiful, amazing and outstanding Bootstrap Multi-purpose WordPress theme that can blow your mind. I can’t just simply tell you what is great about the design of EWA theme, because it offers up to 15 different layouts for your website with 15 stunning appearance and styles. Each of the homepage layouts has a particular and spectacular design that can attract eyes and bring a prominent visual impact to the visitors. You should check out this theme to see the choices that it offers to you. 15 pre-defined skins allows you to fully cover all the purposes when building a website for you or for your customers, whether it is portfolio, business, eCommerce, magazine, photography or something else. This theme is the optimal solution for all the website styles and purposes with its fascinating layouts. Besides, in each of the layouts, EWA provides Drag & Drop visual page builder to help you establish your own website on what the theme offers to you, with ease and comfort as you just have to drag items and drop them on the designated places. This wordpress theme also allows you to choose from 7 awesome sliders to add more impacts and highlights to your unique website. We have 3D & 2D sliders with various types of image effects. Not just sliders or layouts, this theme brings you a whole lot of various extra options for each and every element on the site, allowing you to adjust and modify anything you want to your preference. That makes up about 550+ total theme options ready for you in the advanced and easy admin theme panel. How does it sound? Is it enough to blow your mind? 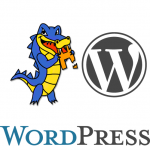 There are like a whole new world regarding what EWA WordPress theme offers to you. It is a highly potential and classy WordPress theme recommended for you. Take it now! Do not miss this opportunity. Includes the Awesome Parallax Layer Slider Plugin – $15 Value! Includes the Awesome Cute Slider WP – 3D & 2D HTML5 WordPress Slider – $18 Value! Includes Fullwidth Audio Player – jQuery plugin – $10 Value!